You can’t have missed the recent buzz surrounding crystal healing. While the practice is by no means new, right now it’s gaining prominence like never before. 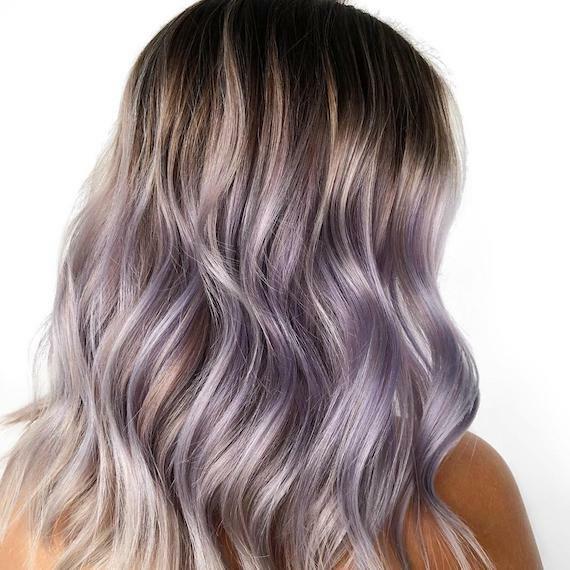 With it, a slew of crystal-inspired beauty trends is rising to the fore, and there’s one in particular that’s catching our eye: gemlights hair color. The trend sees an array of colorful strands delicately scattered through the hair. Think, rose quartz (soft pink), citrine (glassy yellow), amethyst (cloudy violet), jade (cool green)… the list of crystal hues goes on. Combine those soft shades with seamless, micro-fine application that’s flawlessly-blended, and you’ve got an utterly dreamy look that flatters everyone. ‘Sheer’ would be the word we’d use to describe @alejandrojimenezofficial’s take on gemlights. 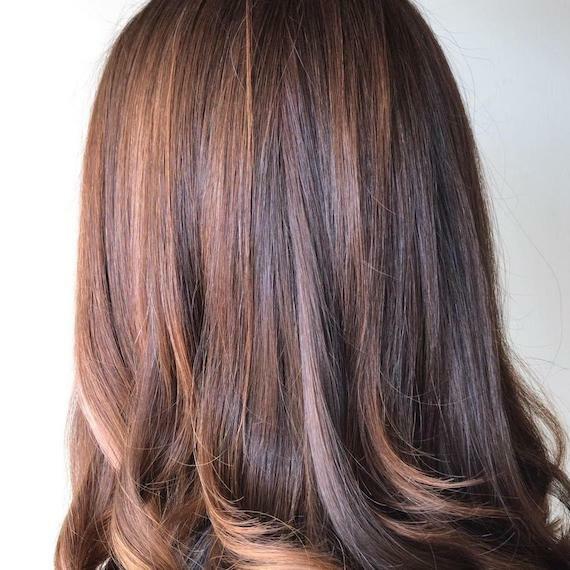 Soft purple agate pieces give dimension to brunette locks, courtesy of this beautiful blend: Illumina Color 6/76 +7/7 + Titanium Rose + Copper Peach +6vol. Blush pink and pale blonde are a formidable combination, as proven by @cassandra_foehr’s rose quartz creation. 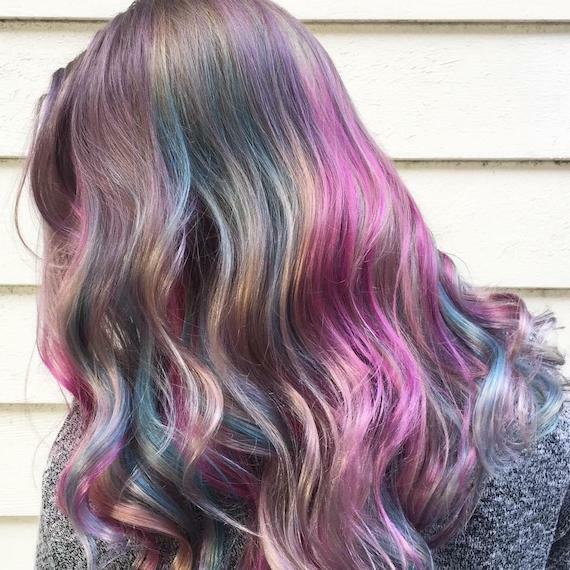 She turned to the Illumina Color Opal-Essence collection to perfect this milky, almost-metallic mane. @gretawagner_’s silver-to-violet graduation makes us think of an amethyst cluster. 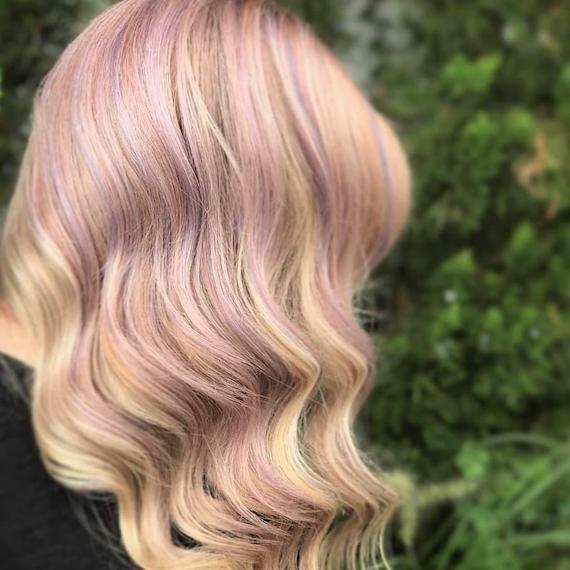 For a color melt this pure, look to bolder purples, like Color Fresh CREATE in Ultra Purple, then dilute with Tomorrow Clear to achieve a pastelized tone. 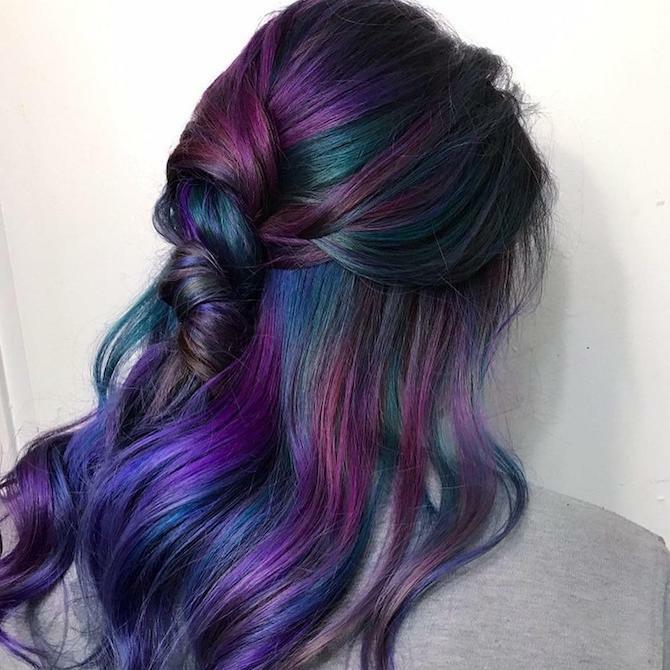 One part oil slick, one part gemlights, this multi-colored look is a brunette’s dream come true, expertly created by @daniellaviolet. To get the look, she first pre-lightened hair with Blondor 30vol to a pale yellow, then toned using Color Touch 10/81 Blonde Pearl and a drop of 2/0 with 10vol for 10 minutes. Next, she turned to the Color Fresh CREATE portfolio of shades, melting New Blue, Pure Violet, High Magenta and Neverseen Green together. This is what you get when you combine crystal shades. @marije_salonb applied a blend of rose quartz, jade and turquoise ribbons that become more intense as you reach the mid-lengths. Hair was pre-lightened first with Blondor 10vol, then our go-to for bold looks, Color Fresh CREATE, was used to create a cool collection of gemlights.